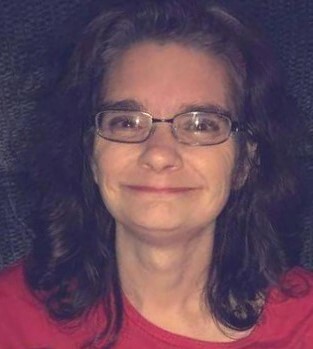 Angela S. Keller-Wahl, age 45, of Urbana, formerly of West Milton, passed away Monday, March 18, 2019. She was born April 9, 1973 to William “Ed” & Helen M. (Gifford) Keller in Piqua, Ohio. She is preceded in death by her father William “Ed” Keller and sister Jennifer Keller. She will be missed and remembered by her loving children Elizabeth S. Wahl, Rebekah L. Wahl, and Jacob S. Wahl all of Christiansburg; mother Helen M. Keller of West Milton and sister Kathryn (Mark) Boggs of Ludlow Falls. Angela loved spending time with her children and family, making arts and crafts and sewing and collecting precious moments. The family will receive friends from 5-7 PM on Friday, March 22, 2019 at Hale-Sarver Family Funeral Home, 284 N. Miami St, West Milton with a memorial service beginning at 7:00 PM. Memorial contributions may be made to assist the family with funeral expenses c/o Hale-Sarver. Online memories of Angela may be left for the family at www.hale-sarver.com.